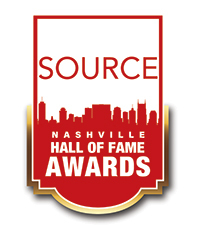 The 2019 Source Hall of Fame Awards inductees are Lytle Management's Sarah Brosmer, Sound City Tours' Gayle Hill, MTSU's Beverly Keel, Leadership Music's Judi Turner, TWI's Trisha Walker-Cunningham and the Bluebird Cafe's Erika Wollam-Nichols. The 17th Source Hall of Fame Awards will take place Aug. 27 at the Musicians Hall of Fame and Museum in Nashville. More here.